Have you ever wondered how Music Festivals & Local Events work? This course gives you hands on, practical experience, that takes you through the process, from an idea, to a plan, right down to what happens on the day of a Festival, as well as every aspect of Planning your own Event, which will happen in a local venue. Please note: Due to enrolment numbers the Certificate III in Music Industry (Business and Introduction to Music Event Management) course will no longer be offered in 2018. Music SA apologies for any inconvenience caused. Certificate III in Music Industry is delivered under a third party arrangement with the College of Sound and Music Production (COSAMP) RTO Code: 41549. The AQF certification will be issued by COSAMP. COSAMP’s 2018 Course Outline is now available online here. 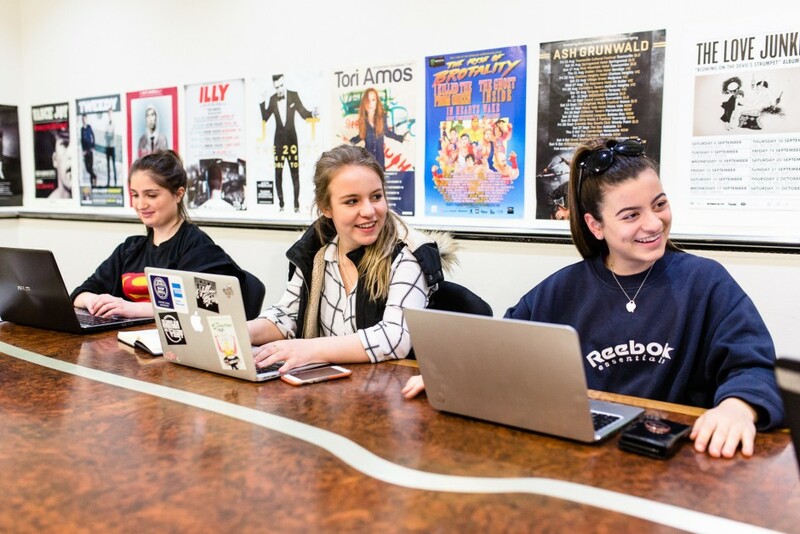 Students will be required to have completed studies at Certificate I and/or Certificate II level OR have completed year 10 (do not have to be currently at school). The course has a Twin Focus in Music Business. As such students do not need to be musicians themselves, but have an interest in the music industry as a career. Musicians are also encouraged to participate, as these are the same skills they will need to pursue their own careers as a self managed artist in the modern music industry as well as enhancing their song writing & performance skills.